Prime Minister Hubert Ingraham’s address at Sunday’s worship service at the Voice of Deliverance Church in observance of the 40th anniversary of the founding of the Free National Movement (FNM) was a total insult to original members of the FNM and I think this is what he intended it to be. He did not even have the decency to mention the names of all the members of the Dissident Eight, who joined forces with “moderate” members of the United Bahamian Party (UBP) to form the FNM in 1971. It did not take that much research for his “speechwriter” to find out who were the other members of the Dissident Eight. In fact, all the speechwriter needed to do was go to the FNM’s web page, which has a full history of the FNM under the heading, “Birth Of A Party,” and he or she would have known that the other members of the Dissident Eight whose names Ingraham refused to mention were Dr. Elwood Donaldson, Jimmy Shepherd, Dr. Curtis McMillan and George Thompson. The late great Sir Cecil Wallace Whitfield, former Leader of the FNM. Not to mention Jimmy Shepherd’s name, in my view, is the most egregious insult of all. It was at Jimmy Shepherd’s Spring Hill Farms estate in Fox Hill where the meetings were held that resulted in the formation of the FNM. Of course, not mentioning the name of Dr. Elwood Donaldson may very well be related to the fact that Dr. Donaldson for several years has been openly critical of Ingraham and his style of governance; if this is the case then it clearly demonstrates how petty and vindictive Ingraham can be. And what about the major contributions made to the formation of the FNM by Errington “Bumpy” Watkins, who was the main link between the UBP faction and the Dissident Eight in getting the talks started. Ingraham did mention former UBPs Sir Geoffrey Johnstone and Godfrey Kelly as being among those who joined the Dissident Eight “in our national movement,” so why couldn’t he be honest enough to mention the contributions of Watkins. All this is deplorable, and it suggests to me that Ingraham either instructed his speechwriter not to mention some names that should have been mentioned, if you are seriously talking about the early history of the FNM, for reasons that I have long suspected. 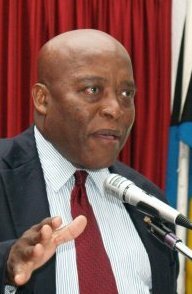 Ever since he deceptively engineered his way into the leadership of the FNM in 1990, more than 18 years after the FNM had struggled in the political wilderness, Ingraham is making a conscious effort to erase the early history of the FNM in his attempt to distort history by having it record that he was the ultimate leader of the FNM. There, of course, will be no mention in our political history books that his first attempt at political leadership with his Third Force Party, after he was kicked out of the PLP in 1984, was a complete failure. 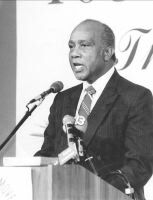 In my view, there’s no way that original FNMs, including National Chairman Carl Bethel , could have been pleased with the speech delivered at FNM’s 40th anniversary observance service, but it could very well be that Ingraham doesn’t give a hoot what Bethel and the other original FNMs say or think. With a general election only months away, Ingraham may be intentionally trying to antagonize original FNMs so that he can do as he pleases in selecting candidates to contests seats in the election, and you can rest assured that those candidates will be chosen mainly because of their support for Hubert Ingraham and not the FNM. While Ingraham and Co may choose to ignore the early and present contributions of Dr Elwood Donaldson to the Bahamian political landscape, history will record that the TRUTH of Ingraham’s deceptive takeover of the Free National Movement was exposed by that same MAN they wished silenced! LIKE A WOMAN SAY” I DON’T NEED A MAN TO F-ME THE GOVERNMENT DOING IT!! I MUST ADD THEY DOING A GOOD JOB TOO! !